Please leave your contact number when placing your order. If you are not there, the courier can contact you. There are plenty of nature motifs in jewelry and fashion, but there’s something special about having actual pieces of bark and moss or dried flowers in your accessories. 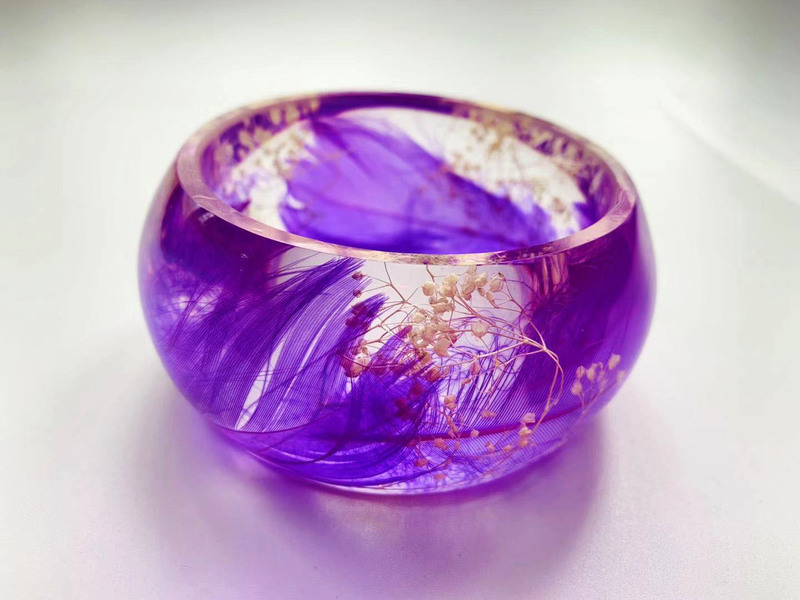 We create hand-made resin flower bracelet, rings, and pendants by forever preserving real moss, flowers, stone, and other beautiful bits and pieces of nature in hard, crystal-clear resin. 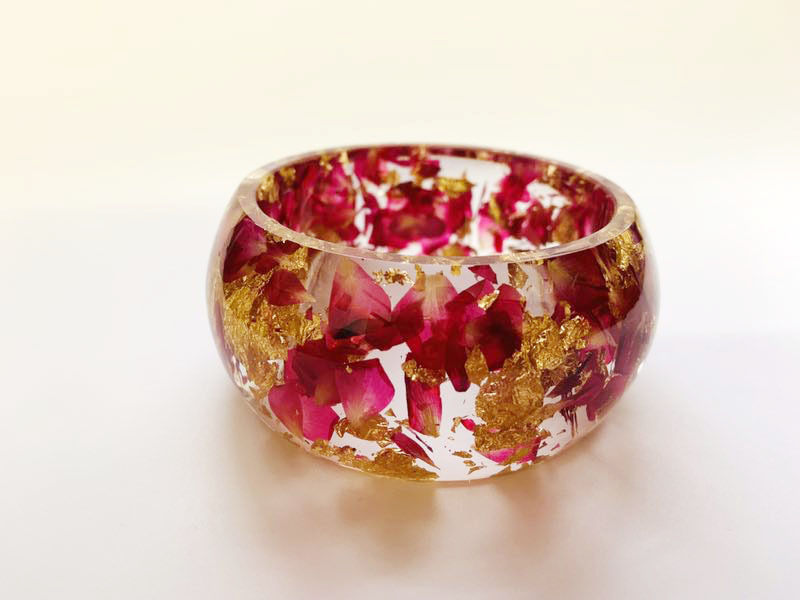 This is a stunning bangle, filled with beautiful real flowers – Rose Petals, surrounded by rich Gold Flakes. It is a chunky bangle with a curved profile; thicker in the center and tapering on the sides. 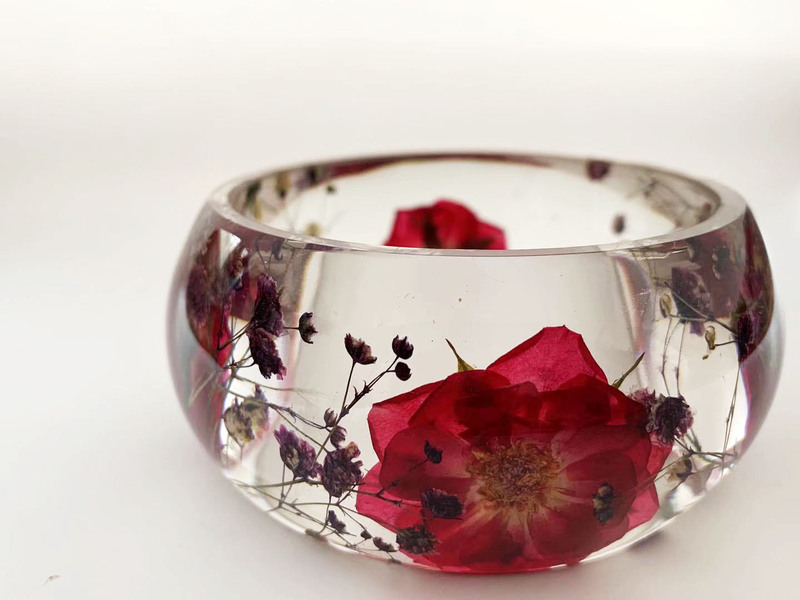 The flowers need to be completely dry before embedding them in resin so they do not brown. The drying process itself can take weeks before I can finally start to embed the flowers in the resin. This lovely bracelet is filled with a real dried flower in a gorgeous shade of blue and accented with white babies breath. 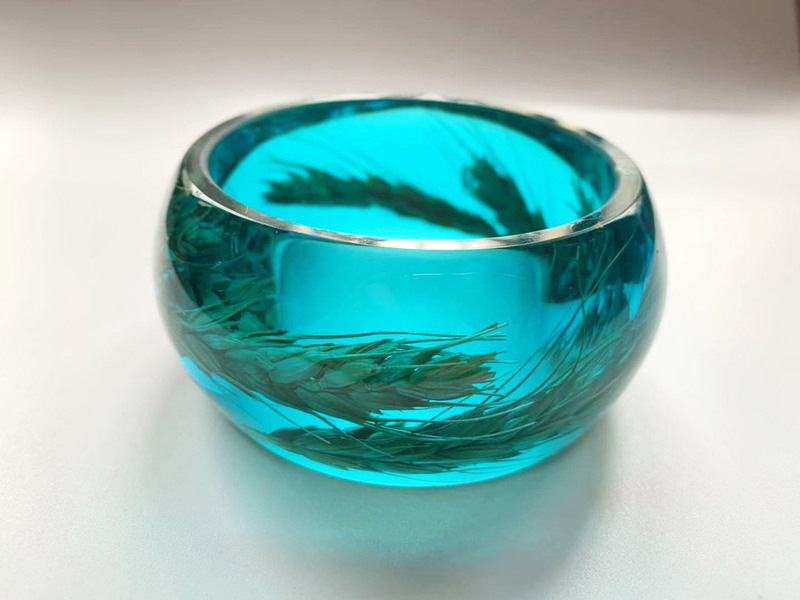 It is perfect for your boho look or a gift for a gardener or nature lover. 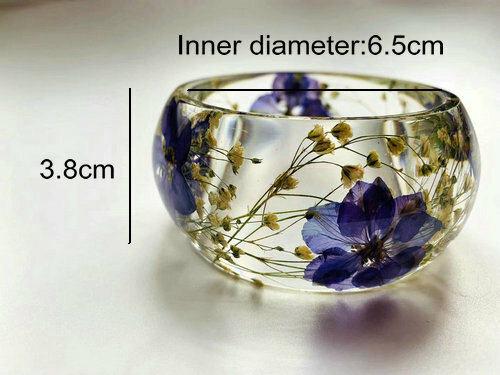 It will fit a size medium to large with a 2.5-inch diameter opening. The bangle is about 1.5 inches high. This is truly a statement piece full of sophistication and glamour! Where a bouquet on your wrist! It can take 2-3 weeks to complete a single piece – from design to pouring resin, curing, to shaping the piece. Oh my gosh, this is gorgeous!